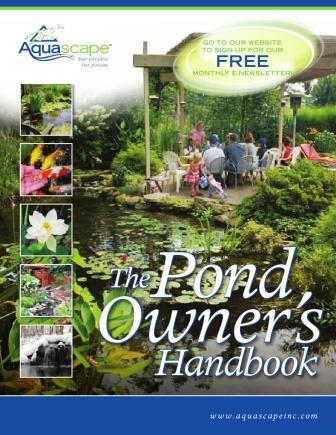 (contain ammonia) which are part of the natural respiratory and feeding function OF POND FISH OF ALL TYPES. Filtration is one of the most important elements of your system. The filter not only removes debris but, more importantly, your filter converts toxic substances into harmless ones. A good system is of key importance in keeping your water crystal-clear and free of chemical pollutants. Our filter line is designed to meet a wide range of needs, for both large and small ponds. Biological Filter - biological is the most important. This process removes toxins. Biological Filter Systems: Biological filtration is where your system provides a place for beneficial bacteria to grow on special media. The system focuses the growth of bacteria. These bacteria remove harmful pollutants,through a natural process, from pond water. Known as the " Bio Filtration " or " bio reactors " these beneficial bacteria convert poisonous compounds such as ammonia and nitrite, into less toxic nitrate. The end by-product, nitrate, is used as a food source by aquatic plants. This continuous process is called the nitrogen cycle. This type may be the most important filtration process in a system containing koi or goldfish. 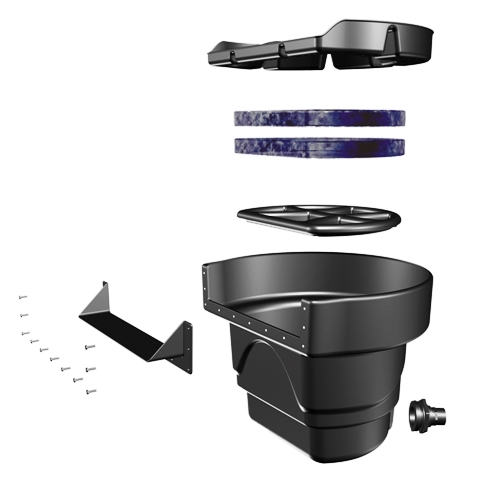 Signature Series™ BIOFALLS® 6000 Filter comes with either 2" or 3" Bulkhead opening. 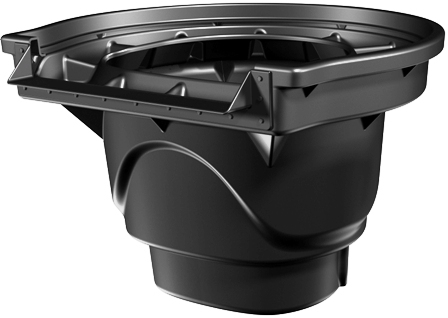 Signature Series™ BIOFALLS® 2500 Filter has a 2" bulkhead opening. MicroFalls® Pond Filters includes one biological media net (media not included), fish safe silicone and hardware to attach EPDM Fish-Safe liner, barbed & slip fittings for both 1 1/2” kink free and flexible PVC pipe, and two biological filter mats. Filters ponds up to 100 sq. ft. and 1,000 gallons (approx.). Full liner attachable waterfall lip - replaces the old liner strip creating a more reliable, water-tight seal on the filter. Rounded shape - improves structural strength and makes it easier to camouflage into the landscape than the old rectangle unit. Watch the instructional videos below, then choose a BioFalls and create your own professional "natural" waterfall.